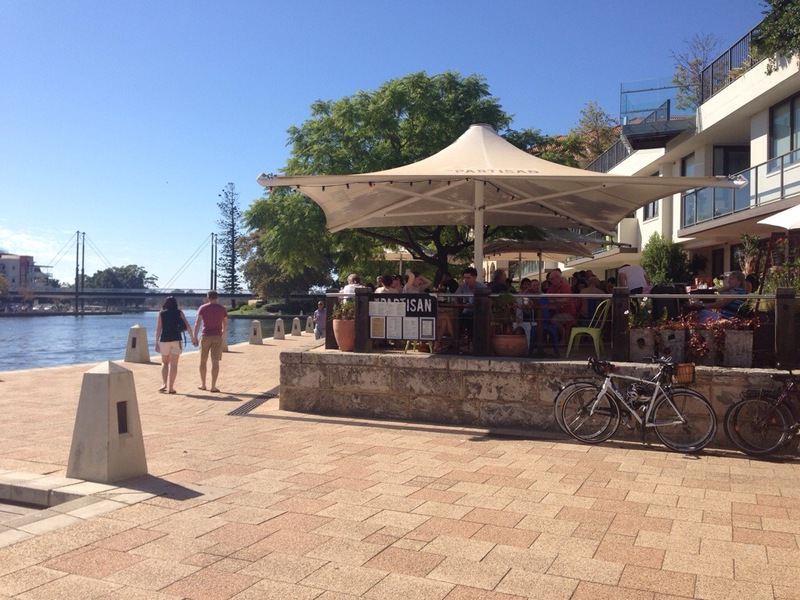 Right near the water in Claisebrook Cove in East Perth, you’ll find the Partisan on the water. Its right next door to Toast, and certainly seems to take some of their overflow on busy days like the Sunday we visited. 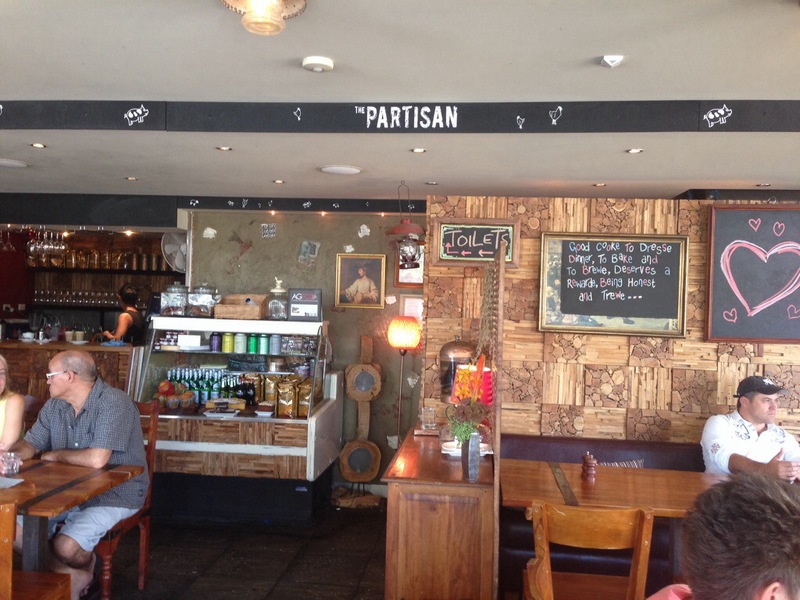 Inside the Partisan you’ll find lots of wood and colour, a compliment to their watery surroundings. The service was okay for a weekend, you seat yourself and order at the counter. It was very busy at prime brunch time, but our food and drinks arrived quickly considering. 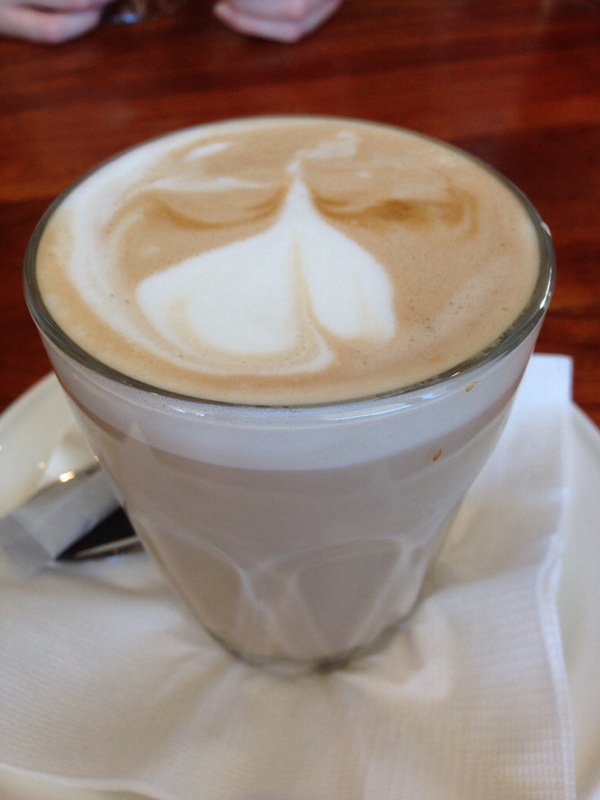 The coffee here was good enough, nothing amazing but it still had a nice flavour to it. It was smooth but just a bit hot intitially. 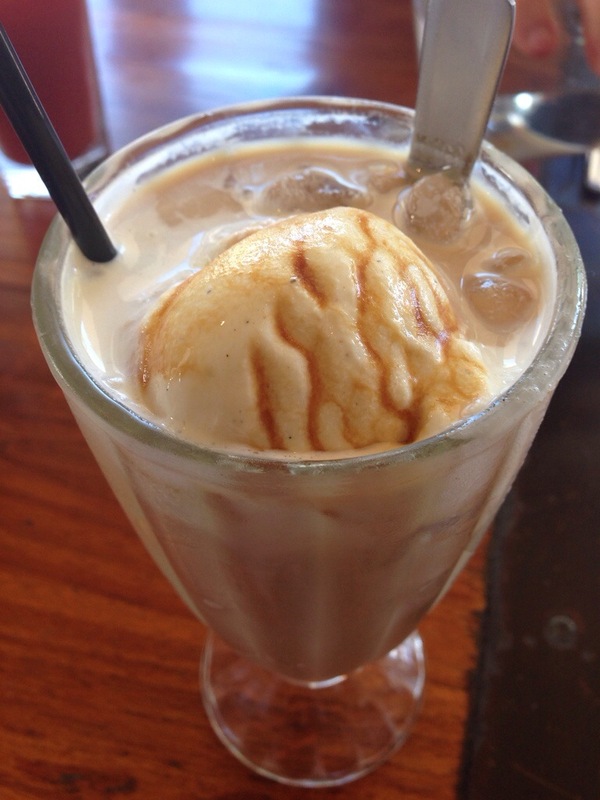 Our ice coffee was lovely, pleasantly sweet with a good coffee flavour and refreshing in an unreasonably hot Perth day. 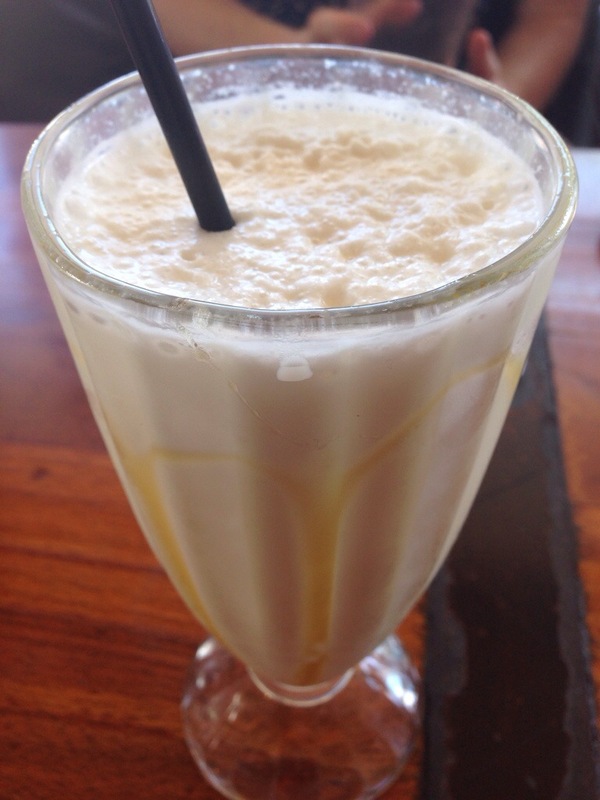 We also tried a malt shake with honey, malt and vanilla. We found this rather strange flavour wise, like something wasn’t right, and there was not enough sweetness. We would give this one a miss. 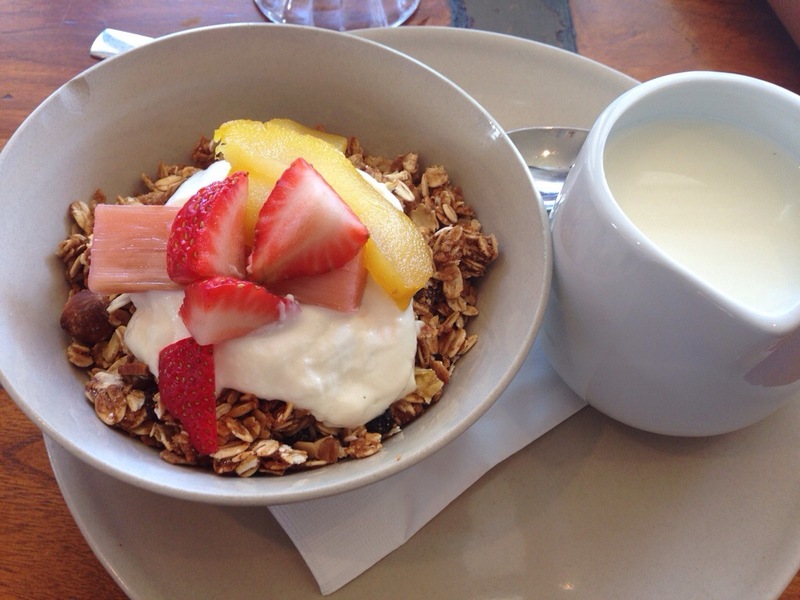 The first of our meals to make it to the table was a granola with yogurt, poached apple, strawberry and rhubarb. This was a bit of a cross between a museli and a granola, nicely crunchy and sweet. The granola was standard fare, but the poached fruit was great, especially the rhubarb. Next to the table was the Jerez eggs, simple eggs cooked in a tomato base with chorizo and spices. 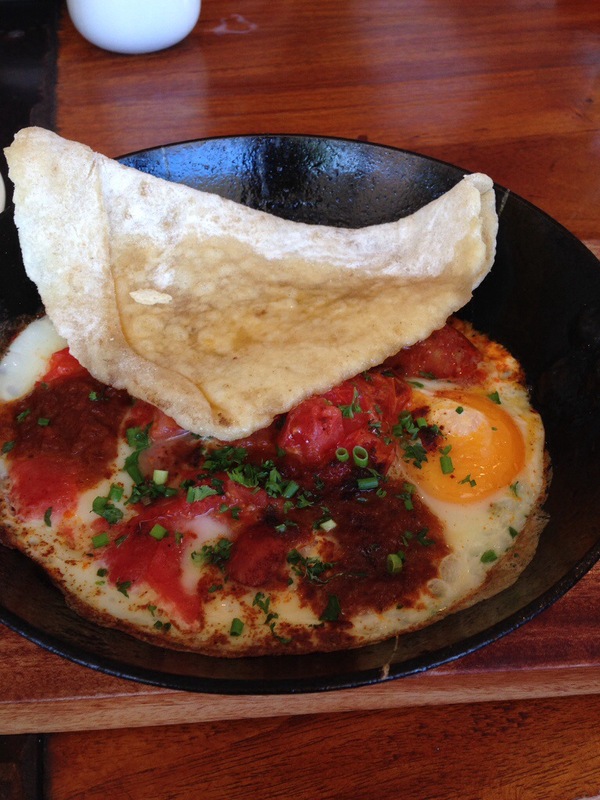 It reminded us of a shakshuka, but a little less heavy. We would have preferred crusty bread to the flat bread, but the flat bread still worked well. Overall this dish was simple flavours, done well and we would recommend it. The Partisan is a good breakfast venue, elevated by its amazing location. We would recommend it as a substitute for Toast or for a leisurely weekend brunch while you watch the world go by.